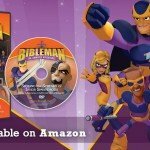 Let the all new Bibleman™ show YOU the power in God’s Word! 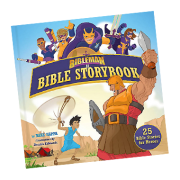 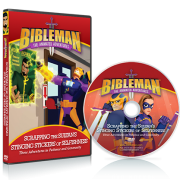 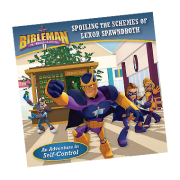 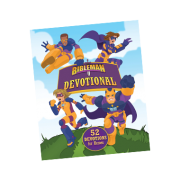 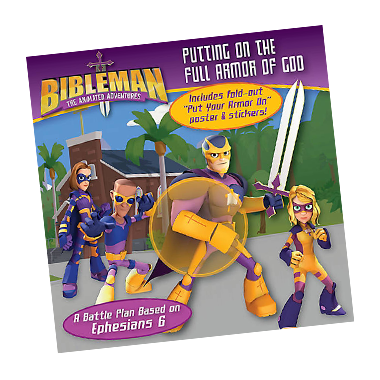 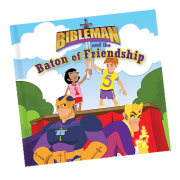 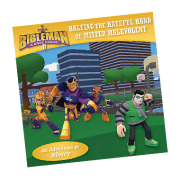 Meet Bibleman™ and his team and find out how they use the Shield of Faith, the Sword of the Spirit, and the rest of the armor of God to defeat dangerous villains like Dr. 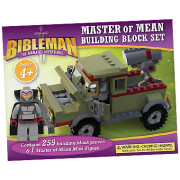 Fear and the master of Mean. 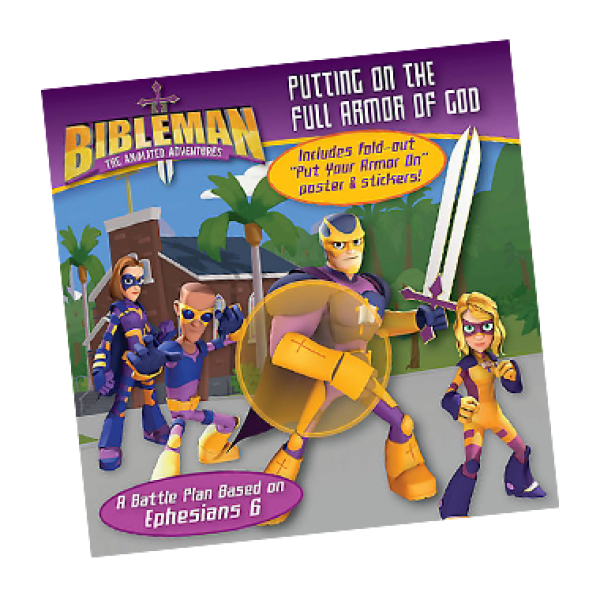 Then create your own adventure scene using the fold-out Put Your Armor On poster and stickers!